Cortisone and anti-inflammatory medications have damaged your joints. Can that damage be repaired without replacement surgery? If you are reading this article, you are likely looking for answers for your long time pain problems that may offer some hope that you can avoid a joint replacement surgery. You have been on a long journey of degenerative disease, you may have been told joint replacement is the end of the line. Joint replacement can help a lot of people. But it may not be the type of help you are looking for right now. You are in this situation because your joints and spine are breaking down slowly, steadily and at a rate faster than your body can fix it. This article will give you a detailed explanation as to why we believe we offer a unique healing program for people with degenerative joint disease that can help many avoid a joint replacement or a fusion surgery. Yes, even people with years of cortisone and anti-inflammatory damage to their joints may be helped. Patients are aware of the risk that their arthroscopic surgery will bring or have brought about osteoarthritic changes in their joints. They were told this before there surgery. They may not have been quite so aware that their pain relief programs would in fact make their situation worse. Intuitively, you are probably aware that these pills are not really helping you. If you need the research, you can find a lot of research in our articles on how your pain medications are making your situation worse. The body’s healing response is inflammation. Inflammation fixes injuries. Inflammation will turn on and continue staying on until the joint injury is healed. But what if the joint does not heal because the degenerative injury has become too severe for the body to heal on its own? Then the inflammatory mechanism will be stuck in the “open” position, chronic inflammation will continue trying to heal something it can’t. Naturally occurring inflammation is filled with quick acting chemicals. Let’s stress that these are quick acting and not “long-term.” One characteristic of inflammation is its use of powerful corrosives to remove dead and dying tissue. If inflammation becomes chronic, naturally occurring powerful corrosives start eating away at your joint. This is the degenerative process. In our office, the first way is to fix the joint or spine by rebuilding and repairing damaged tissue with regenerative injections. We can accomplish this with Prolotherapy and Platelet Rich Plasma Injections used together. Sometimes we will use bone marrow aspirate or bone-marrow derived stem cells. These treatments will be discussed below. Nature’s way is for chondrocytes (healing and rebuilding cells in our body) to repair the damage. Our therapies assist in this process and accelerate healing. During this healing, the body produces its own specialized inflammatory process that acts as a protective barrier to protect the new cartilage that is being built. Once repair is complete, our body shuts down the inflammation. The inflammation is no longer needed. Is the above scenario, the repair of the joint has shut down the inflammation. This is not so in the second scenario. The pharmaceutical industry has made billions and billions producing anti-inflammatories to try to get the inflammation to shut off. The anti-inflammatories the industry produces simply attacks the natural inflammation, they do not repair or change the course of the disease. Since the repair mechanism in your body has been shut off, you now become a pain management patient until such time as you can get a joint replacement. The amazing chondrocyte cell. It makes cartilage. It is already in your joints. It can reverse years of your cortisone, anti-inflammatory and painkiller damage if you help it. A chondrocyte is a cell that makes cartilage. In the human body, the chondrocyte is the only cell type in cartilage. Your entire cartilage is a wall of chondrocystes. If you can imagine the example of the brick wall above being the cartilage that covers the ends of your bones or being a meniscus in your knee or hip labrum or shoulder labrum. In degenerative joint disease, this wall starts developing holes or lesions. To have bone-on-bone part of this brick wall has to wear through. Now imagine your body trying to repair this damage. How does it do it? Here comes the amazing chondrocyte and its repair forces. The cartilage repairing chondrocyte is a very smart replacement brick. The chondrocyte finds its own way to a portion of the wall that is damaged. It then embeds itself in a lesion or hole. Once in place, it secretes its own mortar and embeds itself into the damaged wall. When you have many chondrocytes doing the same thing, they create a healing environment of positive, healing inflammation. When the chondrocytes cannot complete a repair of the damage, they do not stop trying. The inflammation they are creating to protect their workspace does not shut off. The inflammation the chondrocytes are making turns into a toxic environment of oxidant stress wearing away at the entire joint. As stated above, the pharmaceutical industry has made billions and billions producing anti-inflammatories to try to get the inflammation to shut off. Medicine, therefore, has stopped trying to help the chondrocyte heal the joint damage and instead shuts down inflammation. END RESULT? The same conclusion we reached above. Medicine manages people along until the final outcome, unavoidable joint replacement. The damage of anti-inflammatories, cortisone, painkillers and no treatment – the answer to why there are so many joint replacements. Imagine again the brick wall above. It is still damaged but it is no longer being repaired because anti-inflammatories have shut down the repair process. 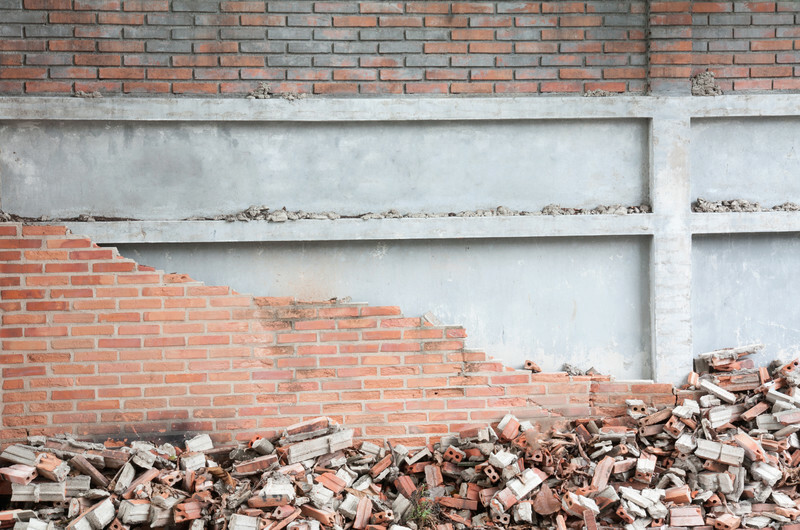 When you stop repairing a damaged brick wall, it will collapse. If this were your knee or hip, you are now bone-on-bone and at times your knee or hip will feel like it is collapsing under your weight. This is when you get your pain, possibly severe at times. Painkillers will be prescribed. Your mobility is limited. You will now become dependent on others. You are being managed along until joint replacement can be scheduled. Can you prevent joint collapse with stem cells? In our office we do not use stem cell therapy on every patient. In fact, we rarely use stem cell therapy. Why? Because it is not necessary to achieve the type of joint repair and rebuilding that the patient and our team will find successful. However, in cases of advanced degenerative disease stem cells may be offered. Stem cells are an injection therapy. The treatment works by taking stem cells from other areas of your body and reintroducing them into the damaged areas. Your stem cells have an ability to change into the building blocks of cartilage and help repair and assist the cells like the chondrocytes, already in the joint, to complete the repair. The goal of our stem cell therapy is to get patients back to doing the things that they want to do without pain and without the need of surgery. People may have an unrealistic expectation of what stem cell therapy can do. For some, they believe that a one time injection will reverse years of degenerative damage. This is not a realistic expectation. Some will be told that they will need 2 or 3 injections for the treatment to work. While this is a more realistic expectation, it is not for many a reality that will help them avoid surgery. Advanced joint degeneration requires advanced joint regeneration. A single injection given once a month for three months will help some, but it is not the type of treatment that should be expected to prevent an eventual joint replacement or fusion surgery. Let’s explore what degenerative treatments are doing to your joints and the ability of stem cell therapy to heal that damage. NSAIDs – What is the damage? It is clear from the scientific literature that NSAIDs have a significant negative effect on cartilage repair and formation which causes an acceleration of the deterioration of articular cartilage in osteoarthritic joints. The overwhelming evidence shows that NSAIDs have no beneficial effect on articular cartilage and accelerate the very disease for which they are most used and prescribed. The long-term consequence of the deterioration of the joint is a need for joint replacement. This was later supported in the medical research which not only showed how NSAIDs destroyed joints, but could negatively impact stem cell therapy’s ability to fix that damage. Doctors in Canada wrote in the journal Arthritis research & therapy: (2) NSAIDs makes pain worse and interferes with stem cells healing capabilities. NSAIDs do this by inhibiting stem cells’ ability to regrow bone. Further, residual NSAID presence in the joints may weaken bone, causing structural instability. This is supported by research from McGill University reporting on Naproxen’s effect on bone healing. This research is from doctors at Maastricht University Medical Centre and Boston University. In this study published in the journal Public Library of Science one (3) is a discussion of the NSAID COX-2 inhibitor. (COX or cyclooxygenase, are two enzymes (COX-1 and COX 2) that promote inflammation). COX inhibitors shut off inflammation and directly cause suppression of cartilage cell growth and natural repair of articular cartilage growth. Doctors at Oxford University, writing in the journal Maturitas (4) examining elderly patients with non-healing bone fractures found the treatment of post-fracture pain with NSAIDs put the patient at the greatest risk for non-union of the fracture and questioned whether stem cells introduced into treatment could help these patients. In the Journal of gastroenterology and hepatology, (5) researchers examined the digestive and gastrointestinal distress caused by NSAIDs and found that they may have their origin in the patient’s low anti-oxidant inner milieu. In other words, the immune system is too compromised to fight off the NSAIDs side-effects including ulcers. This can also suggest that the immune system is too compromised to heal joints. Clearly, NSAIDs inhibit and suppress the growth of bone and collagen, the stuff of ligaments, tendons, and cartilage. If a patient has a long history of NSAIDs this should be addressed prior to stem cell therapy and a treatment plan discussed. You received corticosteroids. What is the damage? This single piece of research published by French doctors in the journal Clinics in orthopedic surgery should be enough to convince anyone that cortisone makes healing with stem cells difficult. Patients seeing doctors who insist on cortisone first, should research this treatment decision. “Following corticosteroid therapy in osteonecrotic patients, abnormalities have been demonstrated in the bone marrow of the iliac crest, with a decrease in the stem cell pool.”(6). If you consider the Mayo Clinic a reliable source of information then note that recent research from the Mayo Clinic suggests cortisone may hinder the native stem cells in cartilage. Cortisone threatens their innate regenerative capacity in exchange for temporary pain relief.(7). We do not need to continue the assault on the detrimental effects of cortisone on healing in this article. One of our most visited articles provides much more research, read it here: Alternatives to Cortisone. Many emails we get begin with, “can you regrow cartilage?” The answer for many people is yes. Nothing is medicine is 100%, to suggest otherwise is not accurate. Let’s talk again about the chondrocytes cell. Above we discussed how the chondrocyte rebuilds cartilage by becoming a “brick” and secreting its own mortar to hold itself in place. So this time let’s imagine that your own stem cells have been injected into your joint and the damaged brick wall is reacting to the stem cell injections. 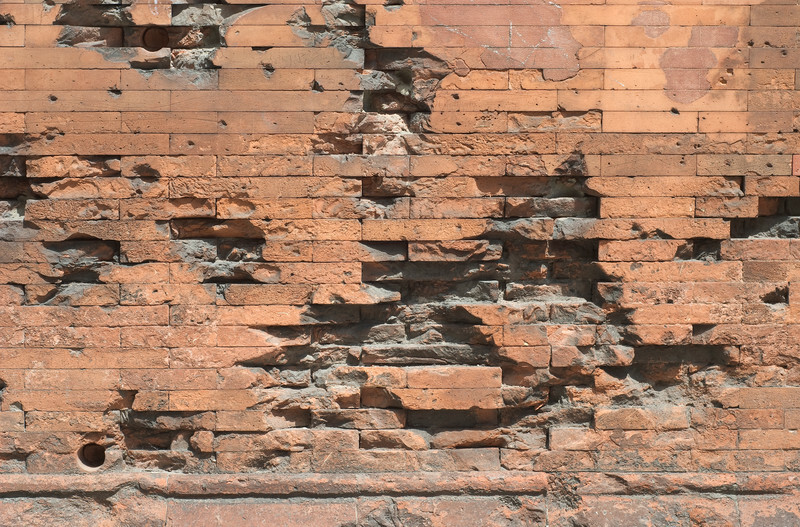 A chemical process signals the damaged brick wall that stem cells are now in the area available for repair. 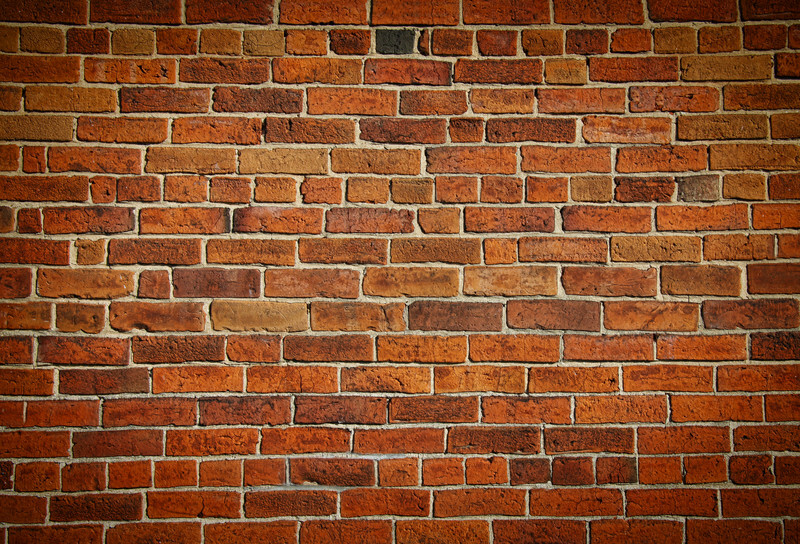 The wall sends signals to the stem cells that it needs chondrocytes “bricks” to patch holes. The stem cells begin their change into bricks. The wall sends the stem cells signals to get them to the holes and patch them. The brick arrives at the specific hole in the wall it was told to go to. The brick fits itself into the hole and secures itself in place by secreting its own mortar. Now imagine this brick is joined by other bricks doing the same thing. “The role of stem cells in cartilage regeneration is certain.” So why doesn’t it work all the time? Stem cells in cartilage regeneration are certain – it has been proven to work. We often get emails from people with stories of failed stem cell therapy. Stem cell therapy should be a comprehensive injection treatment plan, not a magic single injection fix. You to a stem cell seminar at a local hotel or even a chiropractor’s office. After a few hours of presentations, you agree to a stem cell treatment. Most times without a real physical examination. You go to an office where a nurse prepares you much in the same way he/she would prepare you for a flu shot. The nurse or a “visiting MD” then gives you a single injection in a nondescript area of your knee or hip. This single shot stem cell therapy people receive tries to patch a hole in the cartilage. The comprehensive stem cell treatment they should have explored seeks to patch a hole in the cartilage and prevent it from returning by stabilizes the knee’s ligament and tendon support structure. 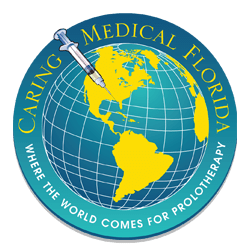 Prolotherapy is another injection technique we utilize in support of stem cell therapy. 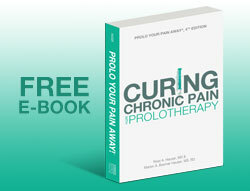 Prolotherapy injections a simple sugar into the joint. The sugar acts as an irritant to jump-start the body’s inflammatory healing system. Sounds simple, but let’s look at the complex job Prolotherapy does in helping stem cells work better. Prolotherapy helps stem cells repair ligaments and tendon damage – the culprits of loose, unstable joints. The medical literature is filled with dozens of research papers on the benefits of Prolotherapy treatments and its ability to stop the degenerative damage in joints by repairing damaged and weak ligaments and tendons. Osteoarthritis develops as a result of joint instability from a ligament injury. Single stem cell injections do not address the ligament damage, they only look to patch a hole is the cartilage. Stem cell therapy will not work long-term if the ligament damage that caused the hole in the cartilage is also not addressed. This is addressed in the illustration below. Let’s go back to our collapsed brick wall example. At the base of the wall in the picture above are piles of damaged bricks. If you were to bring in a masonry crew to fix that brick wall, the first things they would do is clean up the damaged bricks so they had a safe and clean work environment. Stem cells are no different. They want a clean and safe environment to work in too. When Prolotherapy is injected into the joint, it stimulates the production of leukocytes (an immune cell that absorbs and gets rid of diseased tissue) and macrophages. The term macrophage is from the Greek meaning, “Big Eaters.” They eat debris and damaged tissues in the joint. The mesenchymal stem cell consumption of glucose increased proportionally with the glucose concentration in the medium. (The more food the stem cells were given, the more they ate). The primary results note that the higher glucose and serum concentrations appear to produce higher stem cell populations over time. 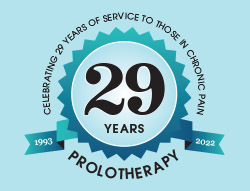 Prolotherapy brings oxygen to the joint. Stem cells like that because it provides them with energy and a clean, safe work environment. Sometimes we forget the cells of the body obtain their energy via aerobic metabolism. The primary substrates or substances that are needed for aerobic metabolism are oxygen and glucose. The body breathes to get oxygen and we eat to break down the food into sugar. Even if a person just eats protein, ultimately the body finds a way to break down the protein into individual amino acids and eventually into glucose. Without glucose, the cells and the body cannot live. 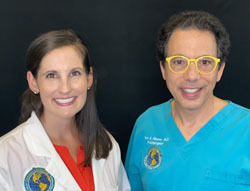 When Dr. Hauser teaches other doctors Prolotherapy or stem cell techniques, he tells us hat at conferences, all the doctors want to talk about in what is in the injection. They don’t talk about the way the treatment is given. He says he tells these doctors that they would be shocked at how many people I see in our office who had one injection or two injections of stem cells at a cost of $10,000 or $15,000 and have even flown to facilities outside the United States to get the “more advanced treatment.” These people are in our office because they are reporting only a 10% improvement. If you have had joint pain for 10 years, 10 years of cortisone, NSAIDs, painkillers, degenerative joint disease, tells us that one shot will not repair all that damage. What the video. It will show you and explain the treatments we offer.